Due to the new cameras was updated, the 2K team captures different facial expressions. In essence, the dunk face is extremely popular. The team also revealed other face expressions like scrunch face, they mainly maximize the compression to get every wrinkle on a player's face. On the whole, the team has redone the body system, rebuilt faces from scratch and added small details like scars and faded tattoos. In addition, 2K also did a separate scan to capture jerseys' true colors. "It was important for us to separate the color of a jersey into diffused color and reflected color, " Dawson says. He added: "We used a technique called cross-polarization to separate those two layers, and then we were able to sample the colors by breaking out diffused color and reflected color. " There looks to be a wide range of alterations you can make to your player's nose, eyes, brows, ears, mouth and other features. 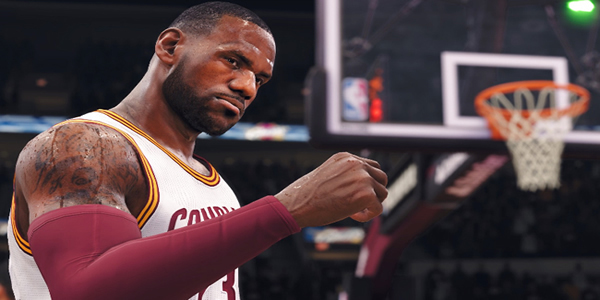 If there were not any questions, NBA 2K18 would look better than NBA 2K17. After all, the game has been gradually improving and gradually evolving all year, and are pretty striking. For more information, head to the game's official website and find out more.